Designed by Emil Bertell in . Published by Fenotype. Inkheart supports up to 77 different languages such as Spanish, English, Portuguese, German, French, Turkish, Italian, Polish, Kurdish (Latin), Romanian, Dutch, Hungarian, Serbian (Latin), Czech, Kazakh (Latin), Swedish, Belarusian (Latin), Croatian, Finnish, Slovak, Danish, Lithuanian, Latvian, Slovenian, Irish, Estonian, Basque, Icelandic, and Luxembourgian in Latin and other scripts. 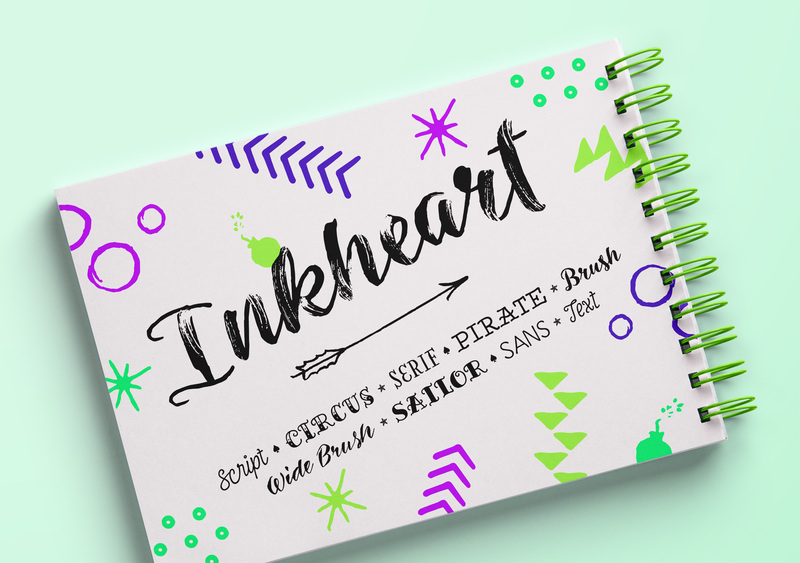 Inkheart offers you a palette of casually lettered alphabets and ornaments to combine and create fun and personalized compositions. 22 Styles in total.